Enjoy escorted entry and guaranteed Vatican Museums and Sistine Chapel tickets by booking this alternative! Book through Klook and avail of a fast track entry to the iconic Vatican Museums and the Sistine Chapel! The best museum tour I have! Luckily I brought my own headphone so I can spare my hand instead of holding the audio guide. 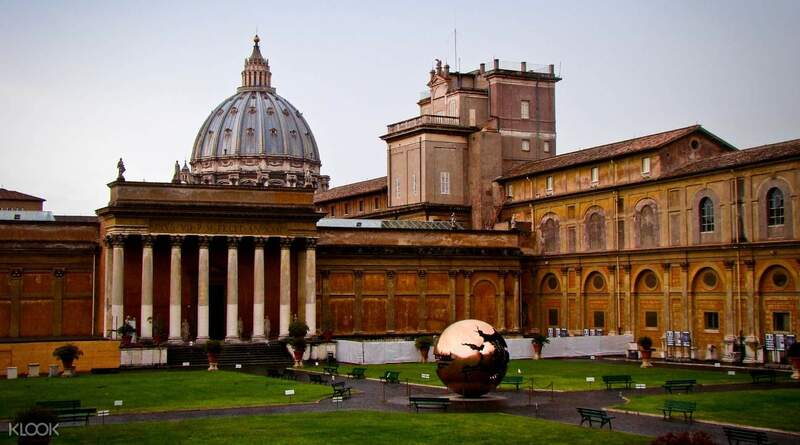 No trip to Rome is complete without visiting the Vatican Museums and the Sistine Chapel. These are two of the most popular attractions in the city and the lines to enter them are often long. Book through Klook, avail of a fast track entry into the museums, and avoid the hassle of having to wait for your turn to enter them! 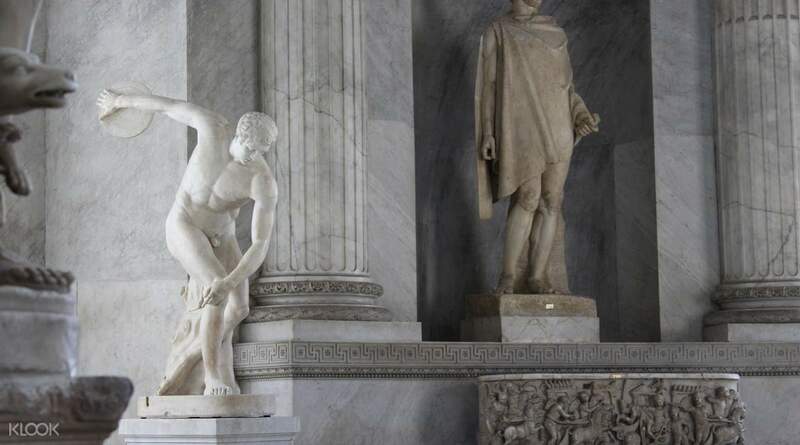 Get to explore the gorgeous halls of the Vatican and discover the numerous Renaissance wonders on display! Drop by notable areas like the Gallery of Tapestries, the Geographical Maps section, the Papal Throne, the Sala Rotonda, the Raphael room, and the sacred floor of the Sistine Chapel. The chapel houses sublime frescoes that you can find on its walls and its ceiling. These paintings are sights to behold and you can marvel at them while you revel in the peace of this world famous sacred space. This is definitely a must for any adventurer visiting Rome during their trip to Italy. 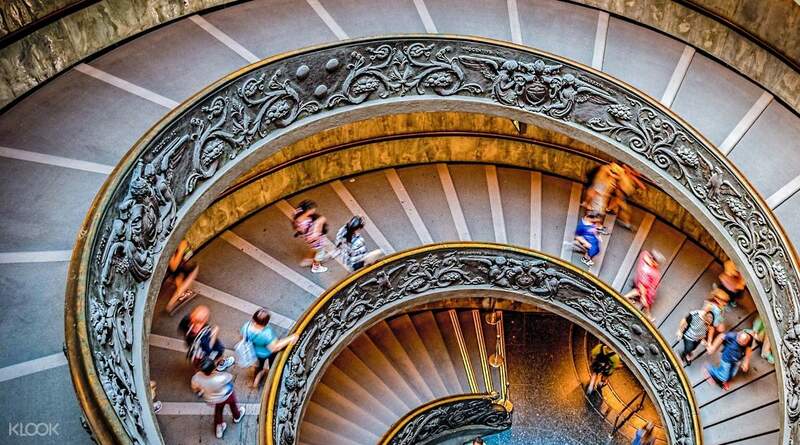 Skip the lines to enter the Vatican Museums and the Sistine Chapel and marvel at Renaissance art! Please indicate your expected entry time at checkout page, however, please note that due to the limited number of people who can enter at once, the time may not be guaranteed. We will book the earliest time slot available between your preferred time. Convenient to use, remember to redeem tickets after pass through the security check and before entering the gate. Not sure if i missed the instruction but just missed this move so need to return to the ticket machine and redeem the tickets by the QR code. Overall it is easy and fast to use! Dun let the “tour guide” or “fast lane staff” to distract you as this tickets are already enough for entering the museum. For the church, it is free to enter and you can decide if you want to go up after entering. No rush to get the fast pass. Convenient to use, remember to redeem tickets after pass through the security check and before entering the gate. Not sure if i missed the instruction but just missed this move so need to return to the ticket machine and redeem the tickets by the QR code. Overall it is easy and fast to use! Dun let the “tour guide” or “fast lane staff” to distract you as this tickets are already enough for entering the museum. For the church, it is free to enter and you can decide if you want to go up after entering. No rush to get the fast pass. Amazing museum. Very easy to claim the voucher and it saves you lots of time from the line. Try to go as early as possible cos it’s always crowded inside the museum. Amazing museum. Very easy to claim the voucher and it saves you lots of time from the line. Try to go as early as possible cos it’s always crowded inside the museum. A great service from Klook to book and get the voucher for the Vatican Museum. No lines and queues, and we could get to the Vatican Museum quick and easy to enjoy the magnificent collections that they have. A great service from Klook to book and get the voucher for the Vatican Museum. No lines and queues, and we could get to the Vatican Museum quick and easy to enjoy the magnificent collections that they have. Very good. Explored the Vatican and the Sistine without any fuss and escaped the long queue. Very good. Explored the Vatican and the Sistine without any fuss and escaped the long queue. It’s so great. Skip the lane not to queue. Thank you. It’s so great. Skip the lane not to queue. Thank you. The best museum tour I have! Luckily I brought my own headphone so I can spare my hand instead of holding the audio guide. The best museum tour I have! Luckily I brought my own headphone so I can spare my hand instead of holding the audio guide. Fast Track is a must in the Vatican. Because it is possible to enter without waiting in expensive trip, it can be said that value is enough. 바티칸 여행에서 패스트트랙은 필수입니다. 값비싼 여행지에서 기다리지 않고 들어갈 수 있기 때문에, 그 값어치를 충분히 한다고 할 수 있습니다.